Pioneers in the industry, we offer four door refrigerator, planetary mixer, four burner oven, milk-water boiler and kitchen equipment from India. These Four Door Refrigerators are highly appreciated by our clients which are situated all round the nation. These Four Door Refrigerators are made by using latest technology and superior grade raw material. 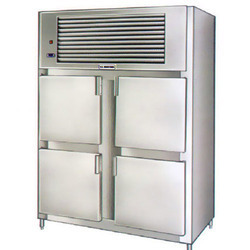 These Four Door Refrigerators are well know for its hassle free performance at its users ends. 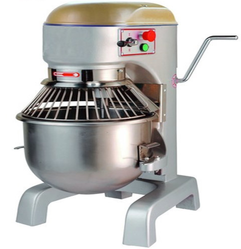 Gaining an immense reputation in this industry, we are readily offering the best range of Planetary Mixer, which is widely used in various industries for mixing purposes. The planetary mixture is suitable for mechanical mixing of ointments, dry powder or wet hard mass. With enormous experience in this domain, we have established ourselves as the dependable manufacturer, trader, and supplier of a comprehensive range of Four Burner Oven. While manufacturing, we lay special emphasis on the overall quality and durability of the entire range. Additionally, our quality examiners keep a sharp eye on this oven in order to deliver a high-quality product. This oven is widely popular in the market for its seamless finish and corrosion resistance. 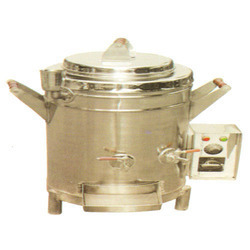 We are the prominent manufacturer, trader, and supplier of a wide range of Milk Water Boiler. The offered water boiler is designed by utilizing best grade material and leading technology. Our company is focused in manufacturing and supplying qualitative kitchen equipments. These accessories are created by our expert manufacturing team using best quality raw materials procured from authorized vendors combined with most advanced machineries. Our experienced panel examine each accessory thoroughly to ensure its flawlessness before supplying. We offer our clients with these accessories at minimum market rates along with other specified services.